Real Madrid and technical partner adidas today revealed the club’s 2018/19 fourth kit. 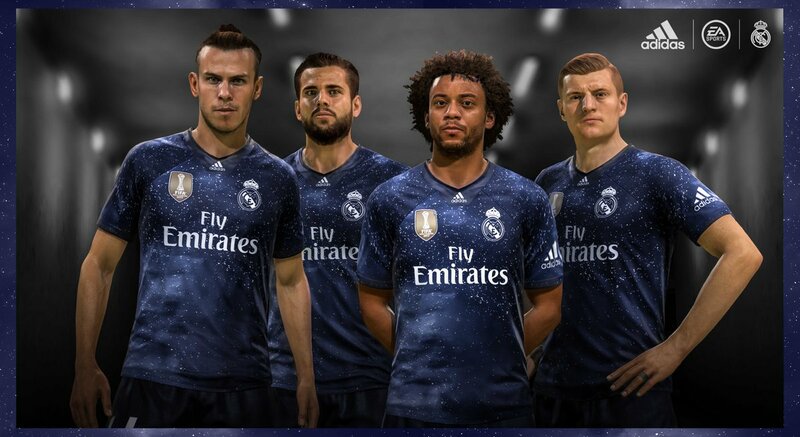 The new Los Blancos jersey will only be seen in action in EA Sports FIFA 19 video game via an Ultimate Team Pack. The Real Madrid 2018/19 adidas x EA Sports digital fourth kit is available beginning today at World Soccer Shop, Lovell Soccer, Pro:Direct Soccer, Subside Sports, UK Soccer Shop and Kitbag. Real Madrid’s first ever physically available digital shirt uses a 1990s design with a modern silhouette. The shirt uses two shades of blue intended to look like the night sky with a series of white stars in it. The inspiration behind the design are the famous Real Madrid Los Galaticos teams of the 2000s that included the likes of Zinédine Zidane, Ronaldo, Raúl González, Roberto Carlos, Luís Figo and David Beckham. adidas logos appear on at the botton of the jersey’s retro v-neck collar and on its right sleeve. 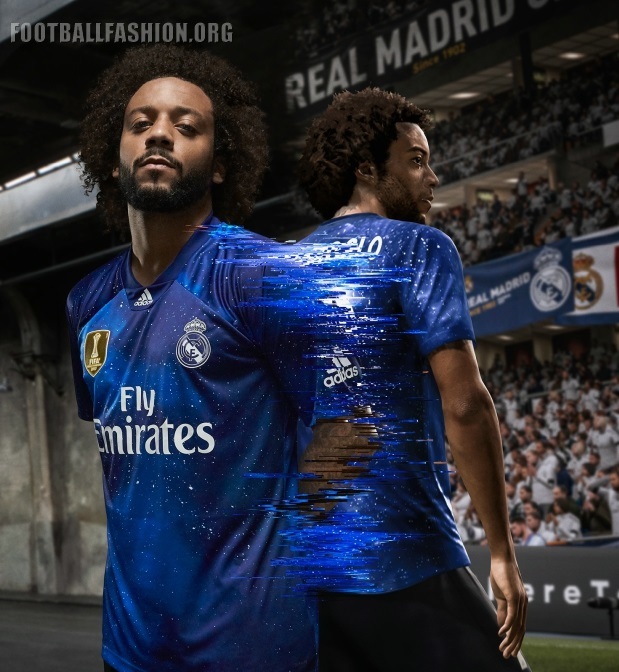 The Real Madrid 2018/19 adidas x EA Sports digital fourth kit is a limited edition item that will cost more that the club’s current home, away and third shirts. Follow Football Fashion on Facebook, Twitter and Instagram for real-time notifications of new football kits, boots and much more!